At Peacock Press, we strive to understand your needs related to a project. We are here to offer as much or as little advice as is requested, as well as to make sure your project is on time and on budget. Through our breadth of services offered, we're quite confident we have a solution that fits your project perfectly. 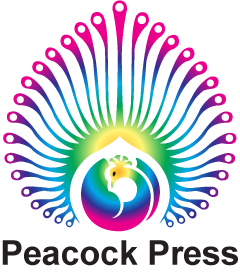 Peacock Press utilizes the latest Xerox and HP technologies to offer the highest quality digital printing solutions. At a resolution of 2400 x 2400 dpi, digital imaging has now become mainstream, and can meet or exceed quality usually reserved for traditional offset printing. Couple this quality with variable data, and the possibilities seem endless. Sheetfed offset printing is the standard by which all printing is measured. From one and two color jobs easily handled in our small press area to four color process with specialty coatings processed by our large presses, Peacock Press offers a breadth of options suitable for any of your projects. No project is complete until finishing has put a special touch into the mix. From inserting a coupon into a catalog to die cutting a piece of marketing collateral, Peacock’s finishing department has the solution to make your project unique. Peacock Press has realized that our partners need more than just a printed piece, so we offer services to enhance the value of your project. Including distribution, mail processing, kitting, and fulfillment, we offer a wide variety of customized programs to meet your needs. Please feel free to use the customer service features to the left or these links to request an estimate, place an order, or send us a file. If you need help planning a project, please email us or use the contact information below.